Bring a touch of rustic charm to any lamp. This new shade from Aladdin features a majestic buck deer silhouette on a warm burlap textured background. 12" diameter, does not include shade support. Limited Production Item! This powder coated Aluminum Shelf lamp comes complete with a MaxBrite 502 Nickel burner. Desert Sand or Tan finish, perfect for rustic decors. 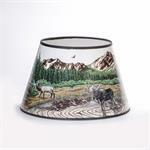 Perfect for rustic decors of log cabins, hunting lodges, or country retreats. Durable powder coated finish. 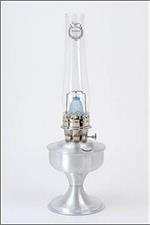 Complete table lamp comes with nickel plated MaxBrite 502 kerosene burner. 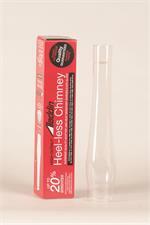 Aladdin High Altitude chimney is designed for use in applications over 4,000 feet in elevation. 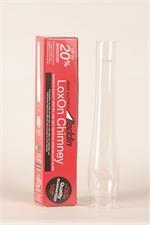 The chimney has been engineered to be installed on Aladdin Kerosene Mantle Lamp burners 1 through 11 and 23A.